Blue and Yellow, these are the colors that Fallout fans immediately associate with "Vault Tec". 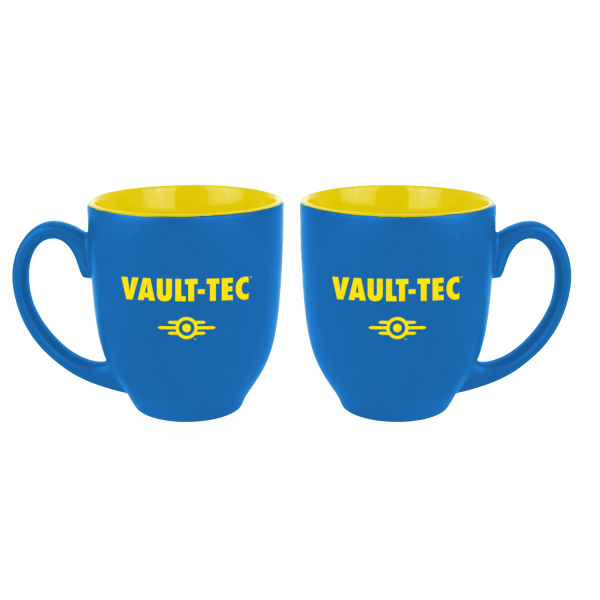 This oversized mug shines in bright blue and features the "Vault Tec" logo on both sides. Holds approx. 330ml, microwave- and dishwasher safe. Manufactured by Gaya Entertainment.